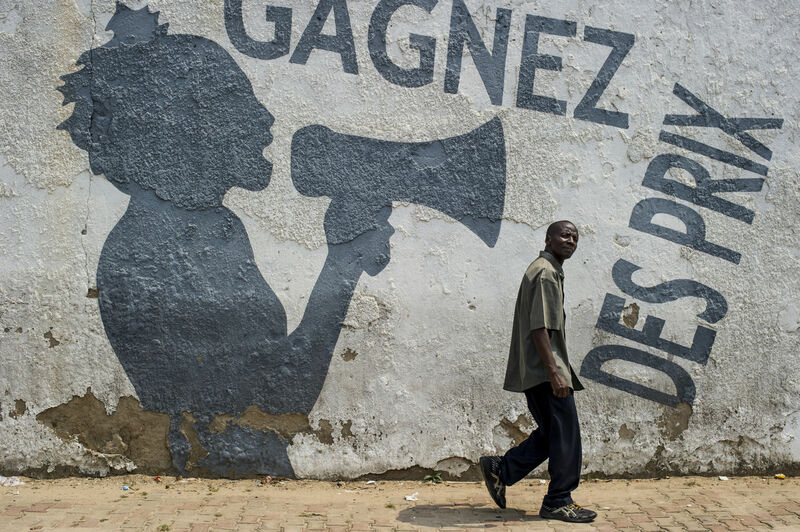 A man walks past an advertisement reading “Win prizes” in downtown Bujumbura, Burundi, on June 27, 2015. 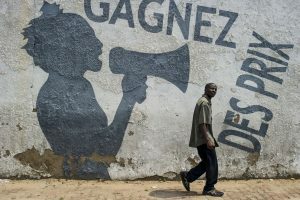 Burundi, a small, land-locked country in Central Africa, slid into crisis last year when president Pierre Nkurunziza announced his bid for a controversial third-term in office, sparking waves of protests. The government responded by labelling demonstrators as “criminals” and “terrorists”; police killed dozens of civilians in the street and rounded-up scores more, actions that the international community and human-rights groups have widely condemned. Nkurunziza won the election and grenade attacks have become an almost daily occurrence. Many people have “disappeared”. Once bustling neighbourhoods are now deserted. Thousands have fled the country.